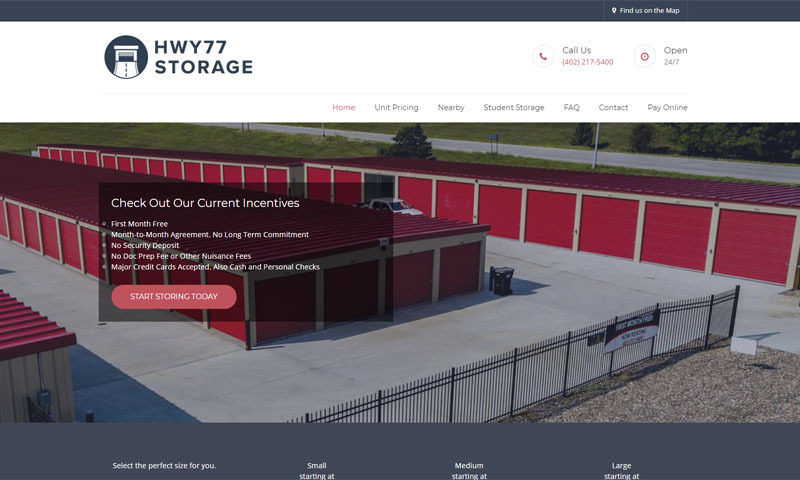 Storage units in Lincoln, Nebraska. 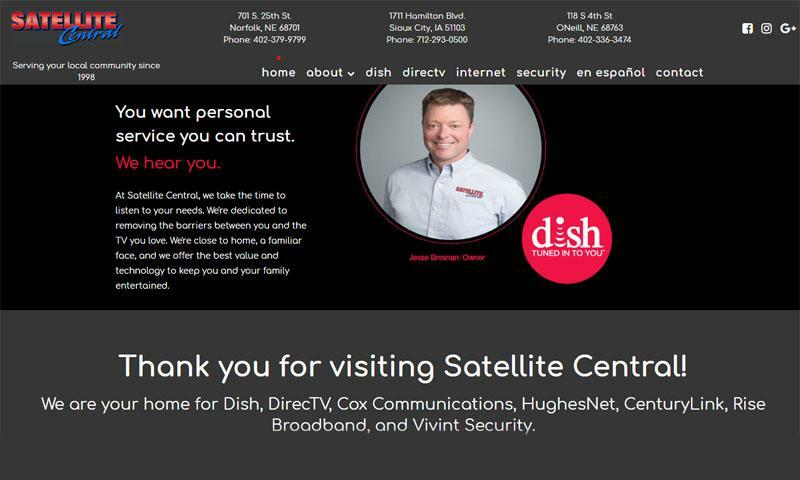 Television and satellite company with several locations in Nebraska. 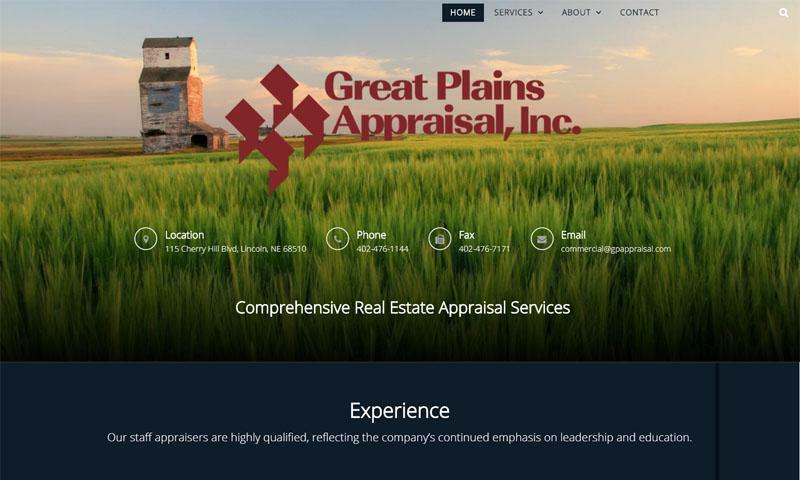 Real Estate Apprasial company in Lincoln, NE. 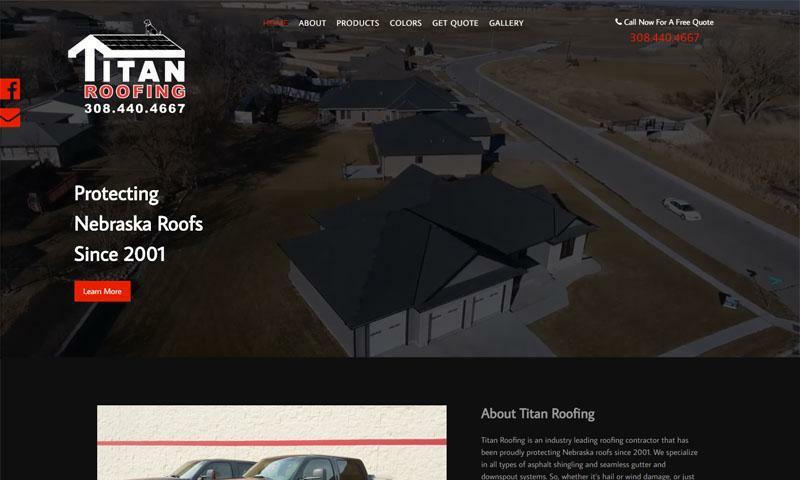 Roofing company in Kearney, NE. 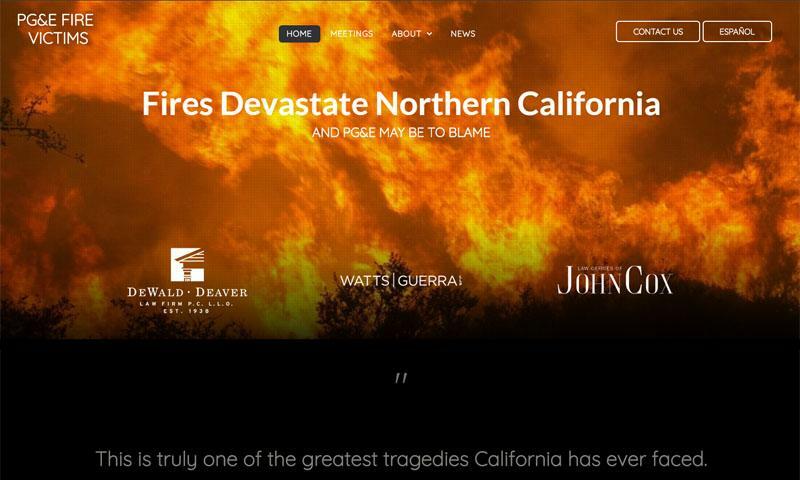 Law website for victims of a fire in Santa Rosa, CA. Lawn care service in Lincoln, Nebraska. Providing fund development and expansion planning consulting services to growing Catholic campus ministries based in Lincoln, NE. 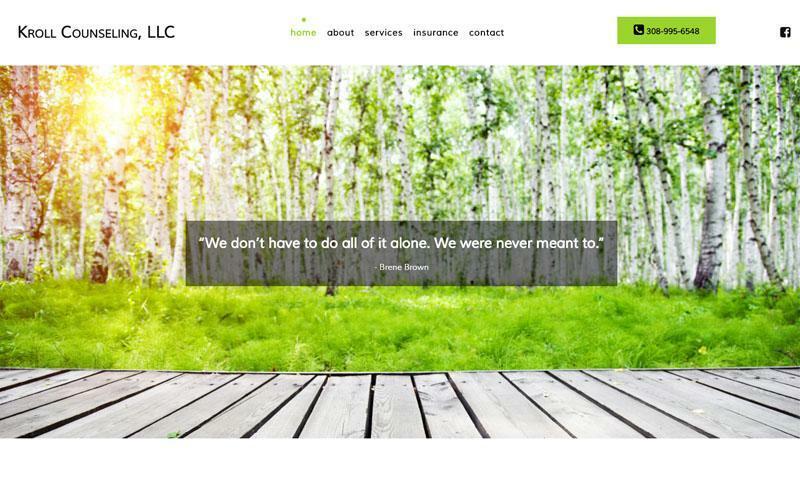 Bridget at Design by Bridge was remarkable to work with on creating our website. 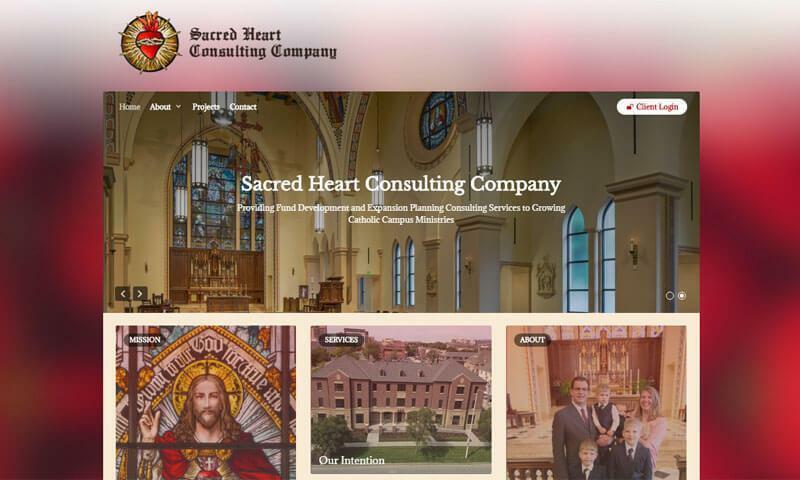 As a newly formed company, Sacred Heart Consulting Company needed an effective way to brand ourselves and market our mission. The website that Bridget created did just that and more! 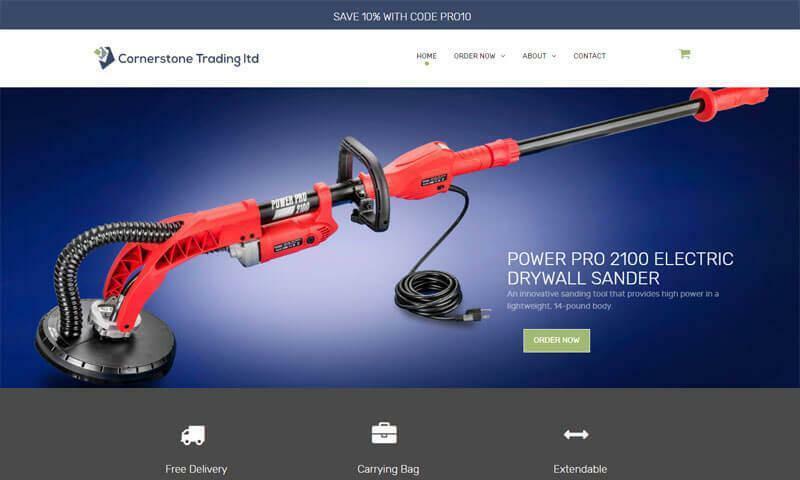 E-commerce business selling drywall sanding products based in Lincoln, NE. 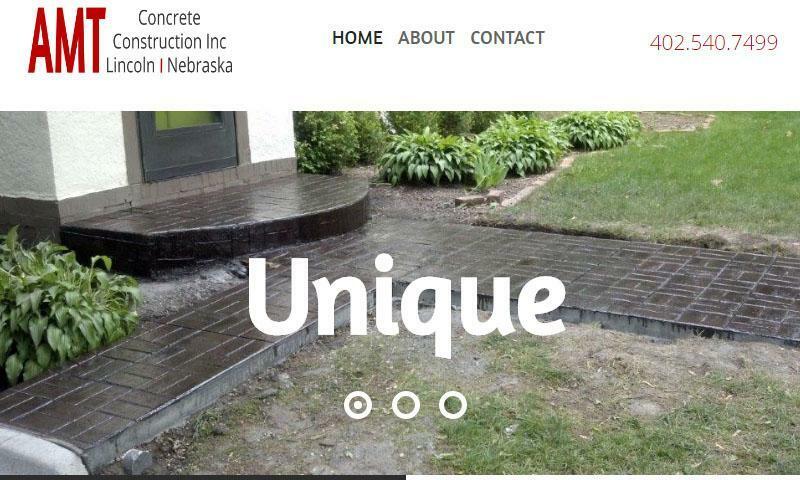 Concrete construction company based in Lincoln, NE. 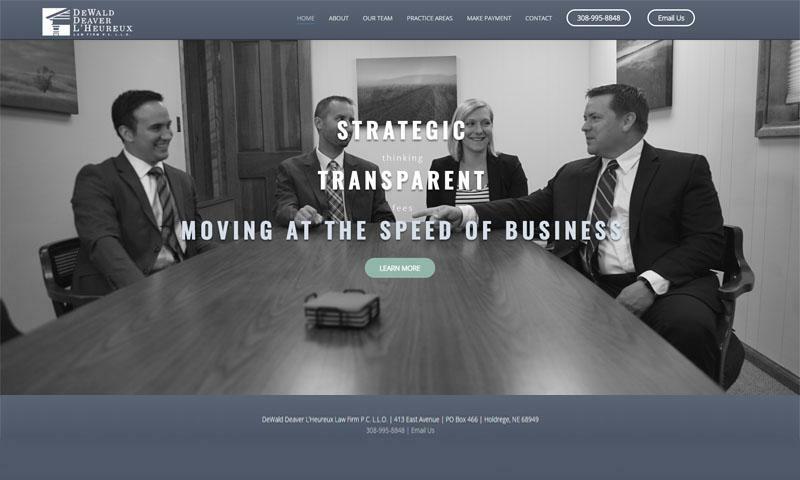 We enjoyed working with Bridget to set up our new website for my husband's company. She was so easy to work with and always quick to respond. I would recommend her to anyone. 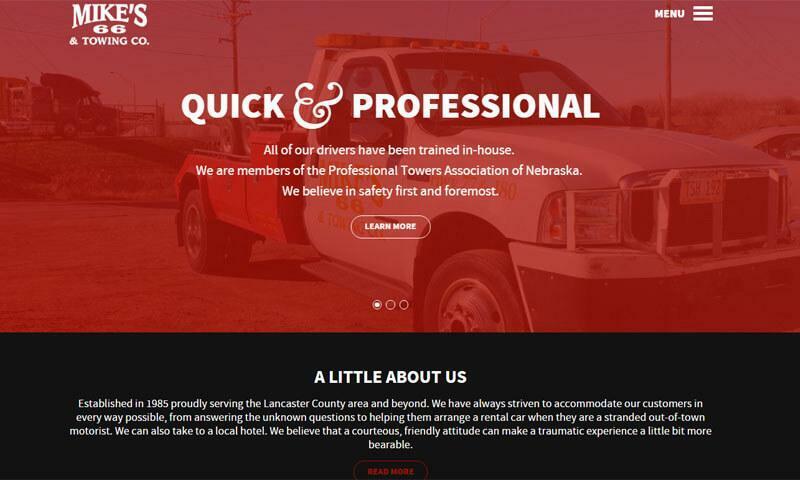 Towing company in Lincoln, NE. 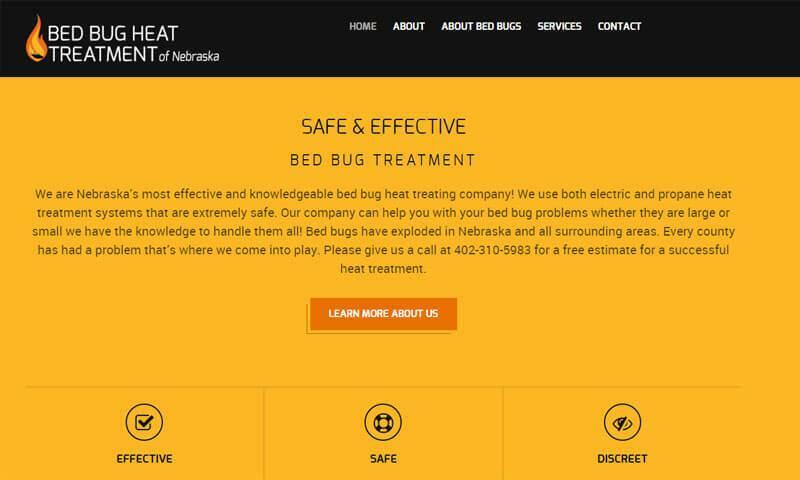 Bug Bug treament service in Lincoln, NE. 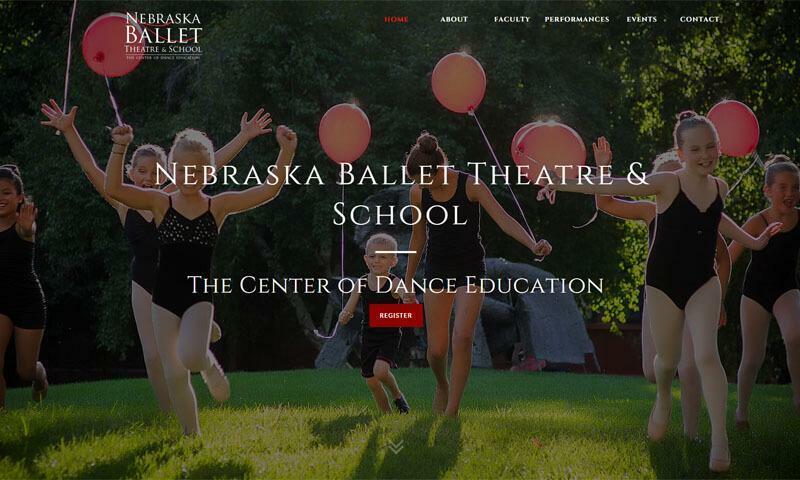 Nebraska Ballet Theatre & School is a place where students are encouraged to think, investigate, and practice the many diverse forms of dance. 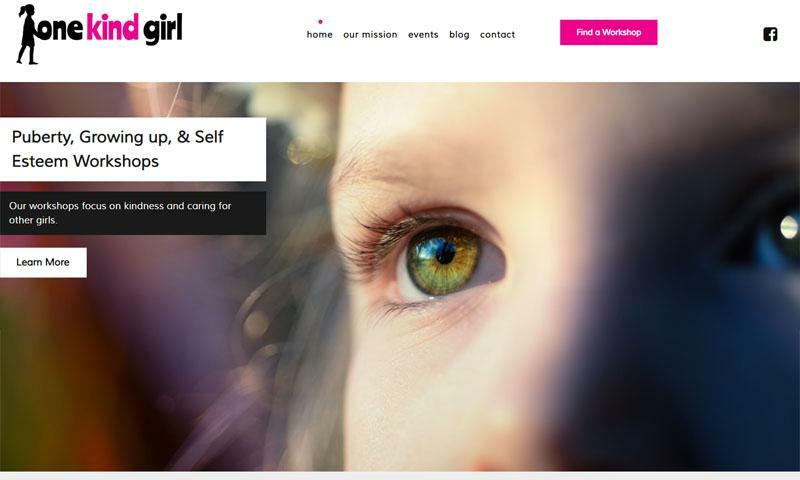 We feel so lucky to have found Bridget at Design by Bridge to create our website. The care and attention she took with all of our ideas and thoughts was simply amazing. The professional and creative look was exactly what we were looking for. She is fast, friendly, and creative! Thank you, Bridget for making our dream come alive! 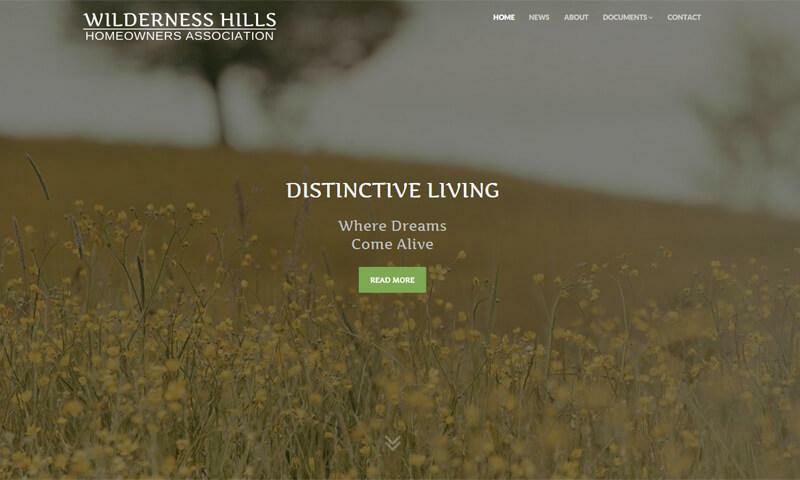 This was a website for a Homeowners Association in Lincoln, NE. Change House Design & Construction Inc. specializes in custom additions, basement remodeling, kitchens, baths and full home rehabilitation. Working with Bridget is fantastic! The previous company we worked with was much more expensive with a fraction of the customer service and detail that we get from Bridge. She's very quick to complete the work and we are pleased we made the change. 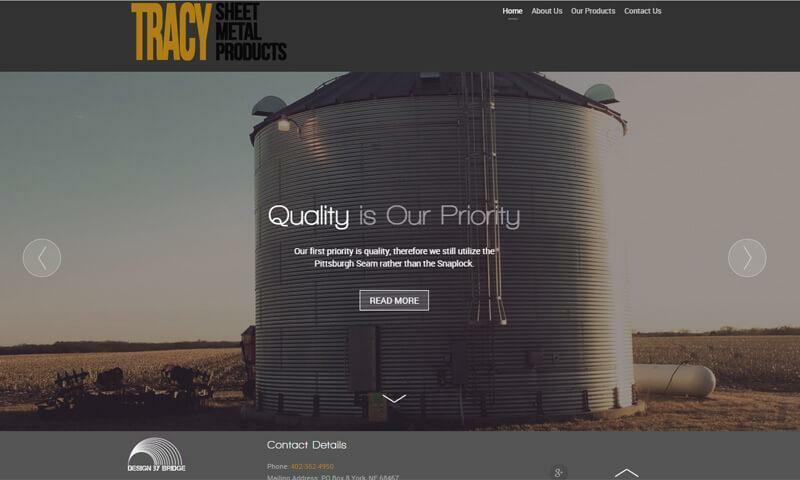 Tracy Sheet Metal Products is a sheet metal fabricator in York, Nebraska. 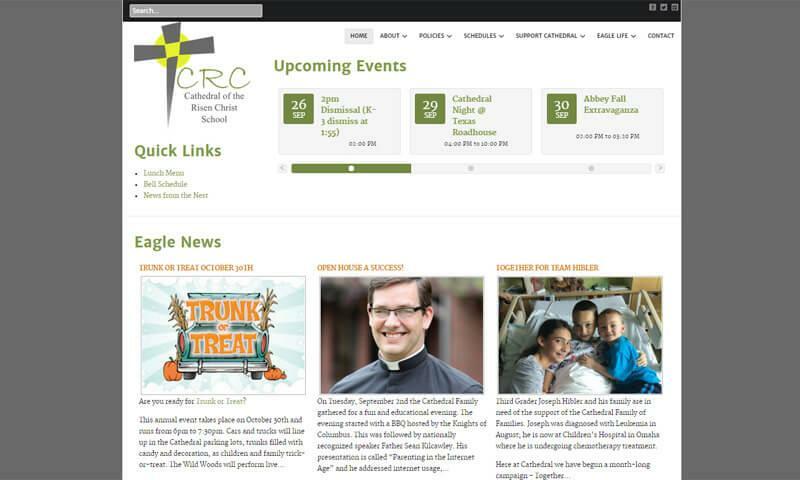 Cathedral is a Catholic K-8 school in Lincoln, Nebraska. 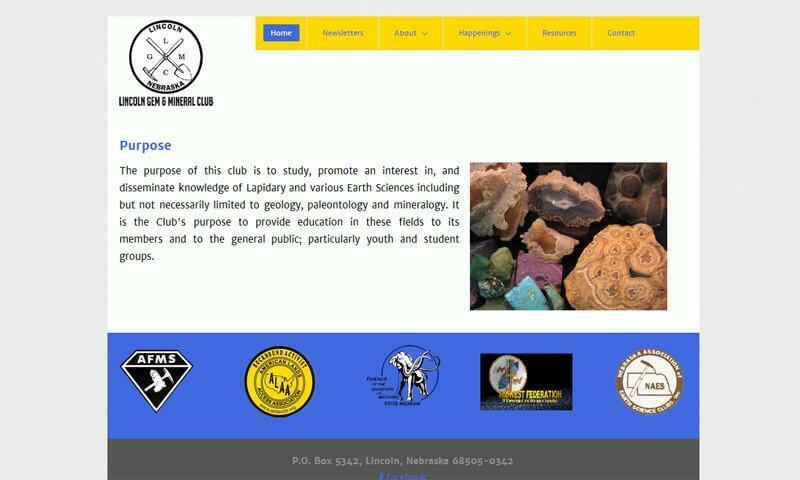 Lincoln Gem & Mineral Club promotes an interest in Lapidary and various Earth Sciences in Lincoln, NE. 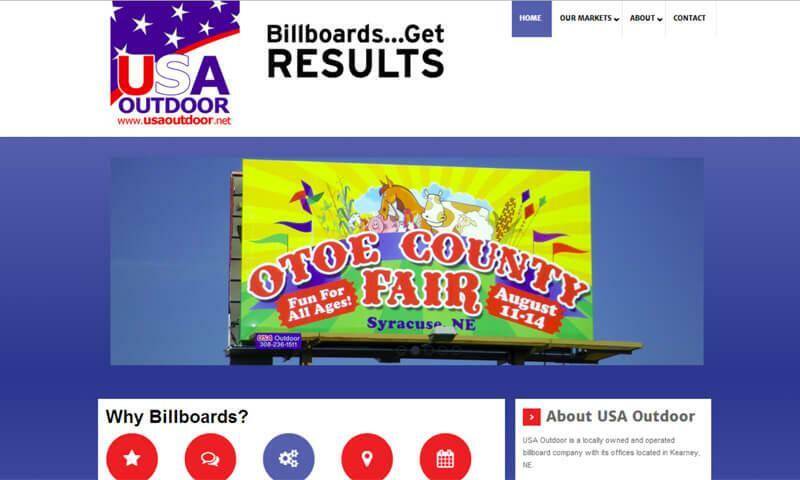 USA Outdoor is a billboard company in Kearney, NE. 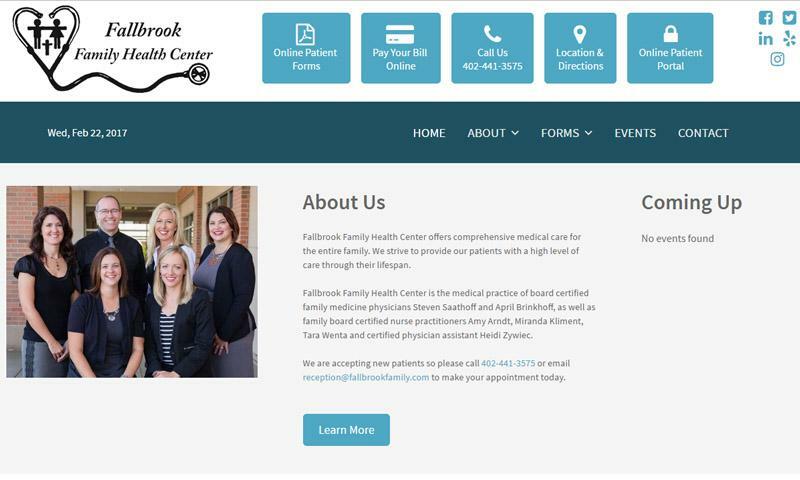 Thank you again for all of your help in this & your patience with all of our changes…you did a wonderful job & I will continue to recommend you to anyone who is looking to have a professional website designed! 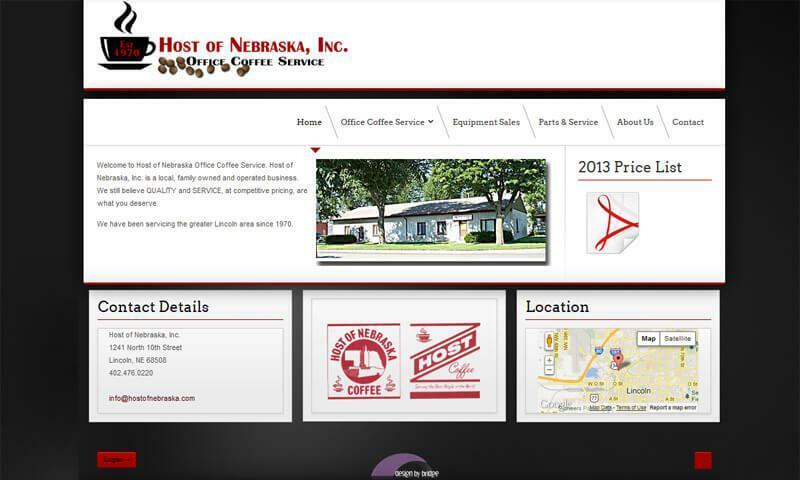 Host of Nebraska is an office coffee service in Lincoln, Nebraska. 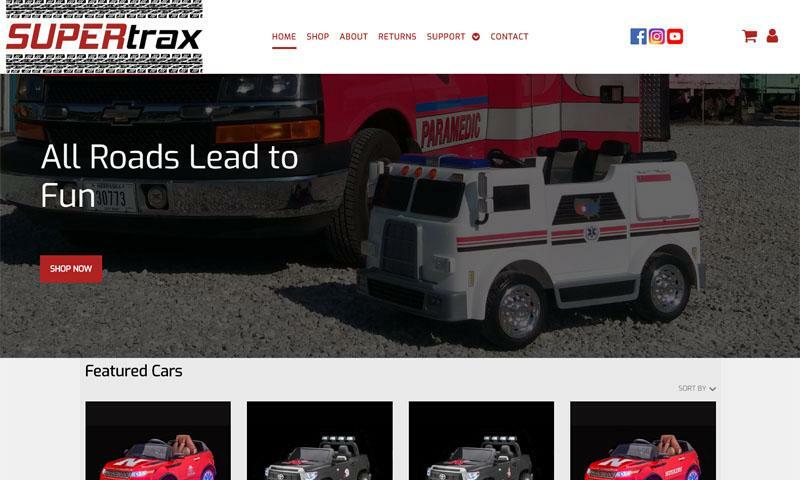 X-Tronic USA purchases all of their products direct from the manufacturer and passes the savings on to their customers. 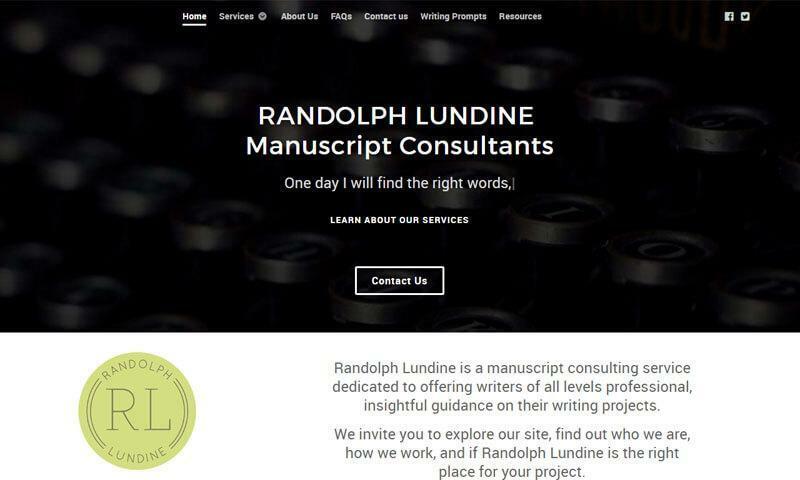 Randolph Lundine is a Manuscript Consulting firm in Lincoln, Nebraska. 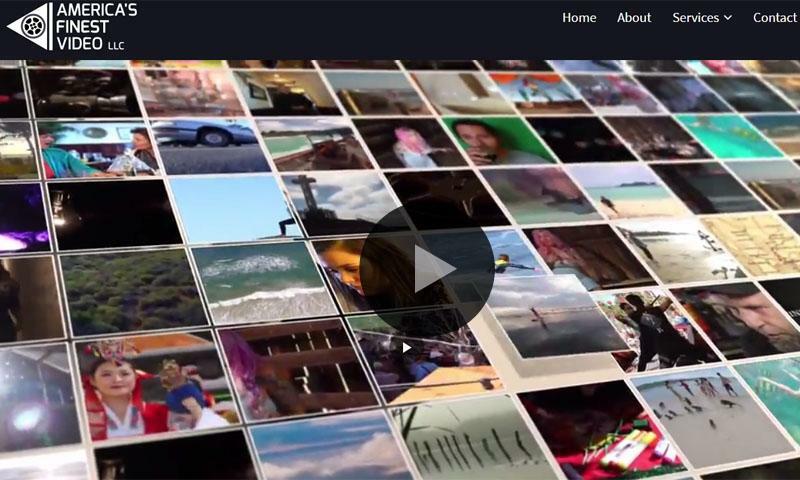 Our website was the central platform for the launch of our new business. We wanted it to be perfect. Bridget was professional, patient, and creative, even when responding to our many questions, requests, and changes. The site is elegant, simple, and exactly as we hoped it would be. 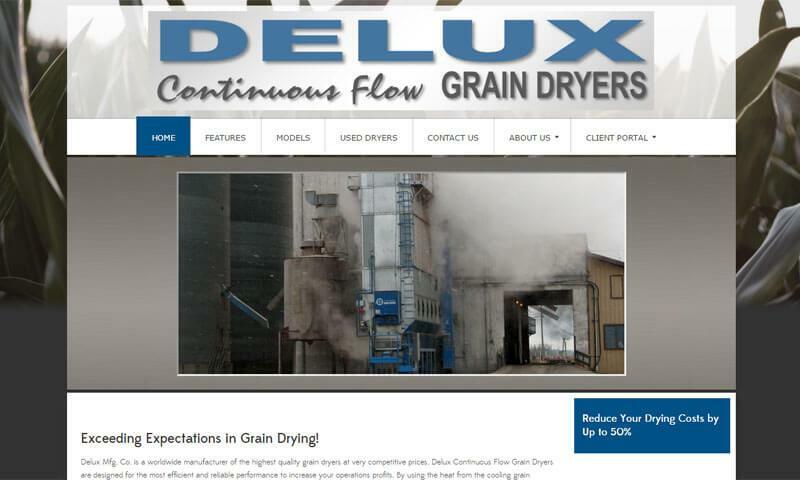 Delux Manufacturing is a worldwide manufactuer of grain dryers located in Kearney, Nebraska. 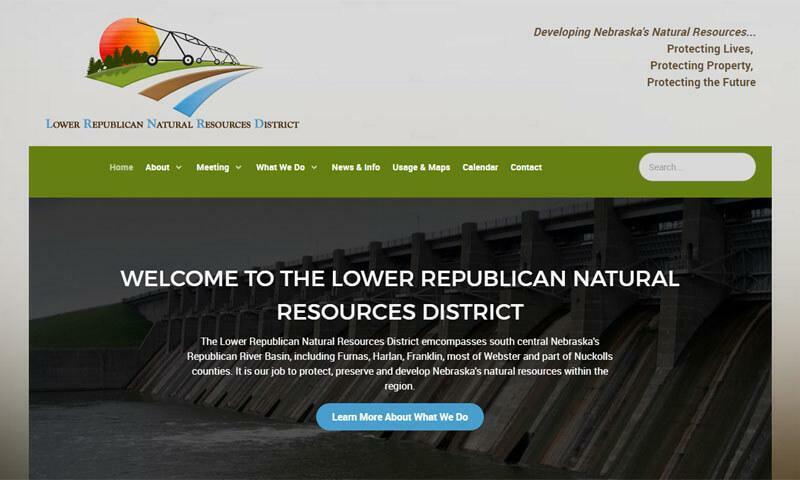 The Lower Republican Natural Resources District encompasses south central Nebraska's Republican River Basin, including Furnas, Harlan, Franklin, most of Webster and part of Nuckolls counties. It is their job to protect, preserve and develop Nebraska's natural resources within the region. After searching for someone to overhaul our website, I chose Design by Bridge because she gave us a reasonable quote and responded to my inquiries promptly. In turn, Bridget demonstrated extreme patience with us. 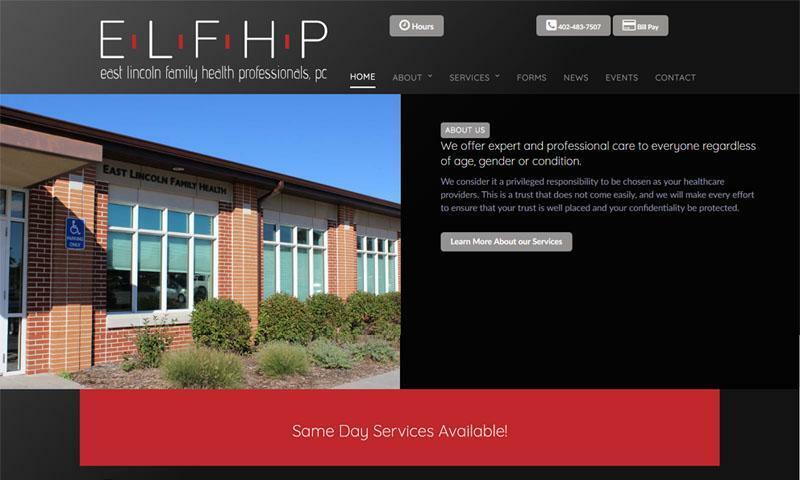 In no time, she had designed a site for us with a professional appearance. She also took care of all the details of switching providers. Her instructions on how to work with the website couldn’t have been any simpler. I wouldn’t hesitate to recommend Design by Bridge. 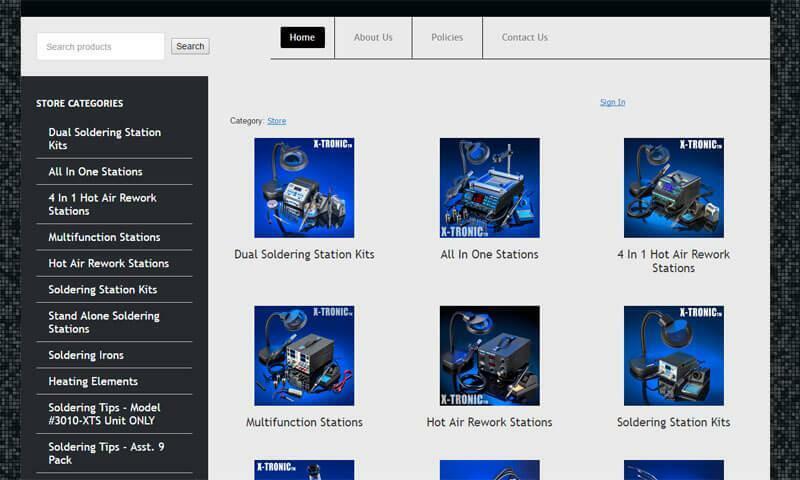 The MERCANTILE STATION 2 is a division of an International Product Sourcing Agency and Manufacturer's Rep Agency that has been selling to some of the largest retailers in the USA since 1982. 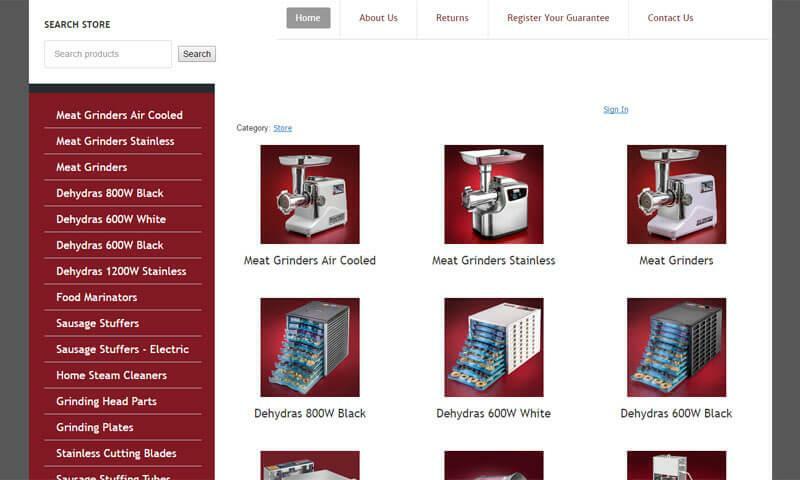 They purchase all of their products absolutely direct from the manufacturer and pass on the savings to their customers. 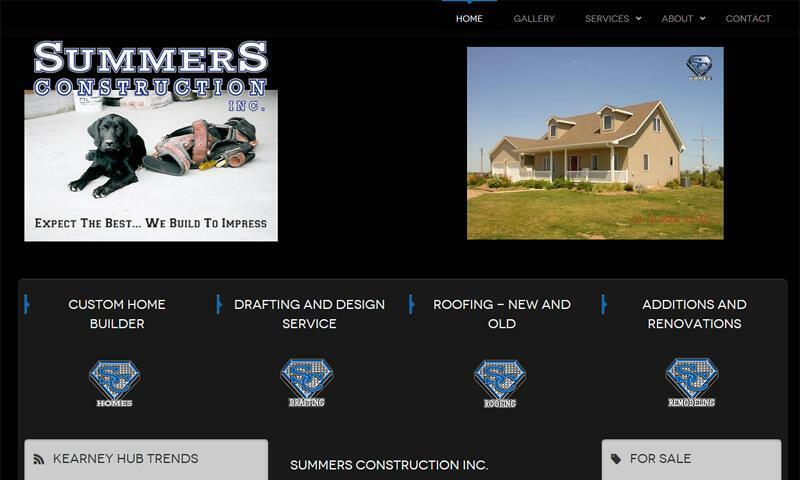 Summers Construction is a residential builder in Kearney, NE. 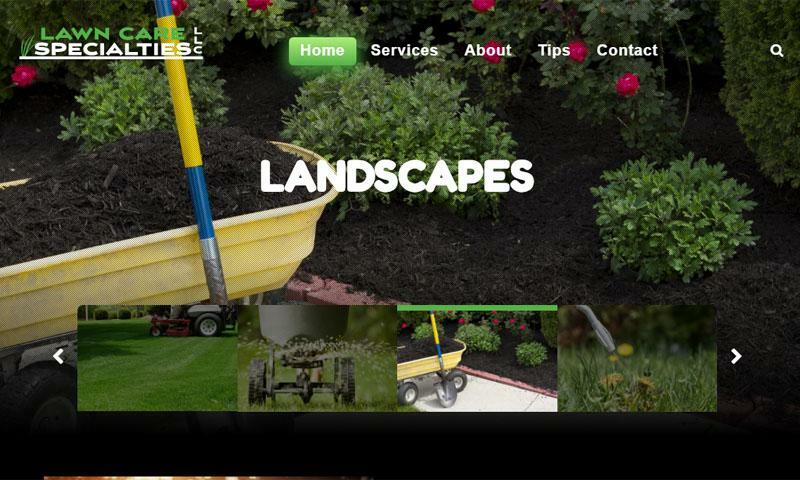 After looking at designbybridge.com, I knew that Bridget had the skills to build the site I was looking for. She designed a great format to display pictures of our homes that we have built. Her design even included informative pages that allow our future home builders to become familiar with our building techniques, quality materials we use, and our drafting services. 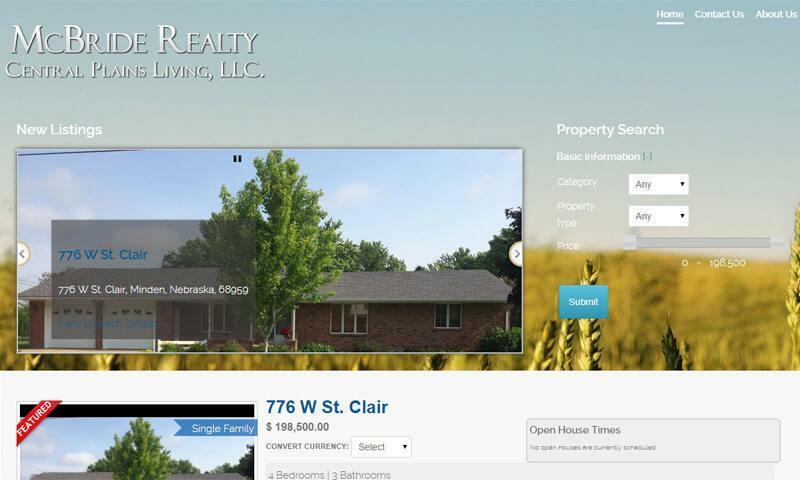 Bridget was also extremely quick in getting our site up and running as one of our homes was being featured in the Kearney Hub that month. I would rate designbybridge as a five star web designer as she met and exceeded all of our requests and expectations. I would recommend Bridget to anyone that needs a bridge to walk across into the web world. 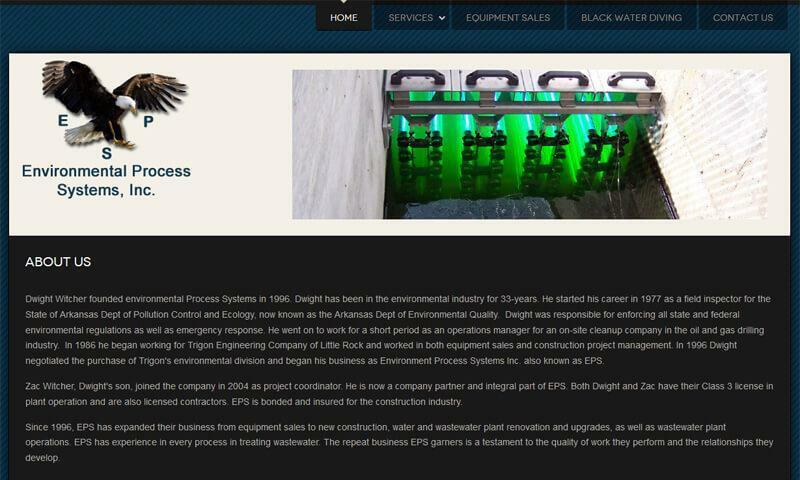 EPS is an Arkansas company with experience in every process in treating wastewater. EPS has expanded their business from equipment sales to new construction, water and wastewater plant renovation and upgrades, as well as wastewater plant operations. 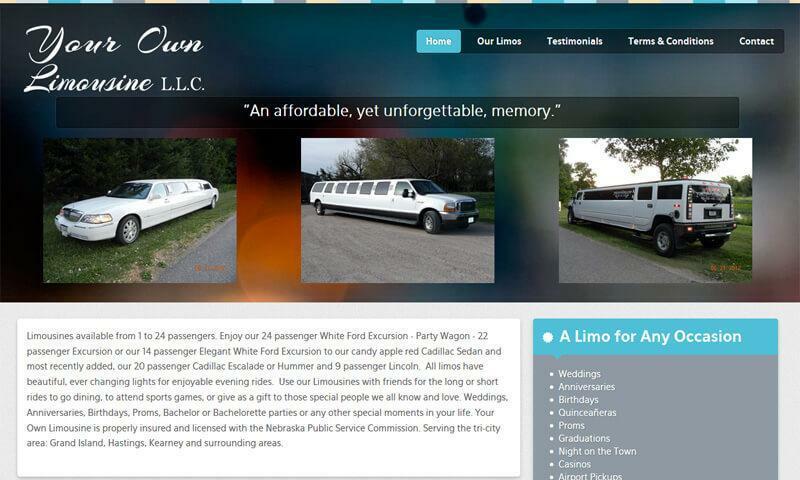 Your Own Limo is a limousine company in Kearney, NE. When looking for someone to design a web page for our new limo business, I was glad to hear that Bridget was designing web pages. Since I had worked with her at a previous job, I knew her ethics and knew that the web site would look professional. Bridget made changes when requested in a timely manner, and her ideas made for a web site we're proud of. I will definitely recommend Design by Bridge to others. McBride Realty has been serving the Minden area for over 35 years in home, farm and commercial Sales. I want to take time to tell you how impressed we are with the web site you put together for us. We were looking for an updated look and something easy to use and you exceeded all expectations! The site even looks great and works well on phone applications. Thank you so much! 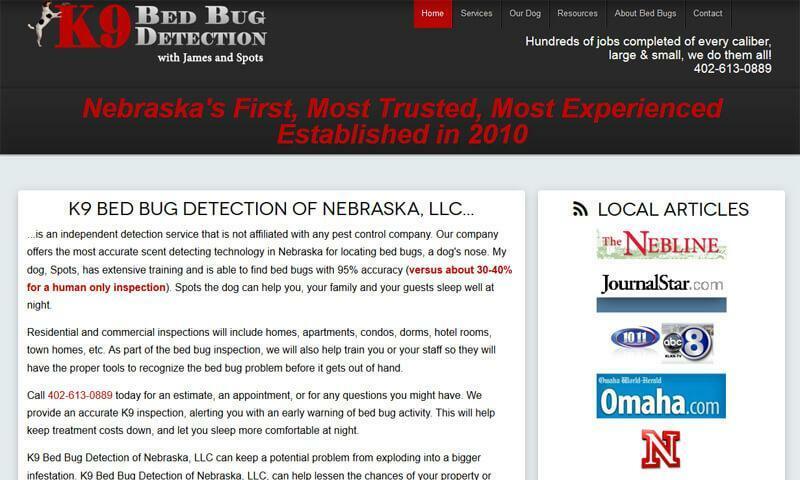 K9 Bed Bug Detection is a bed bug detection service located in Lincoln, NE. Bridget was a pleasure to work with. 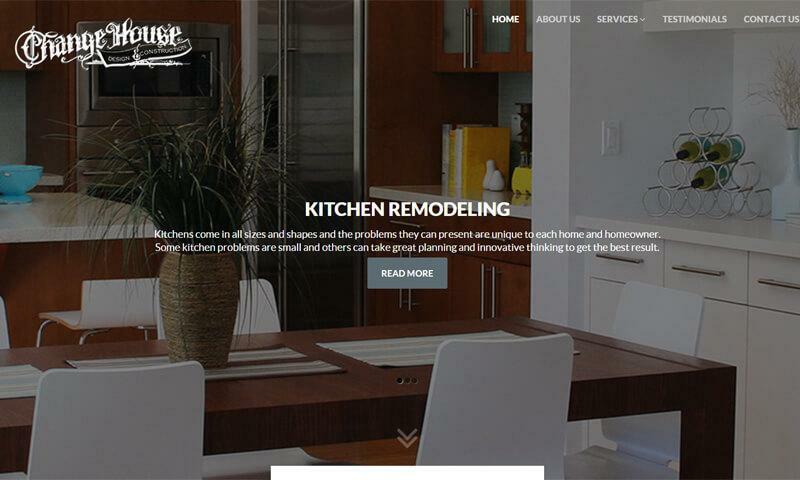 We are new business owners and were intimidated by having to design a website. Bridget took all of the worry out of it. She is quick, professional, creative, and the best in Nebraska. We will continue to use Design by Bridge for website updates and will always reccommend her.